Sign up for our weekly list to find out what's new and happening at the store! 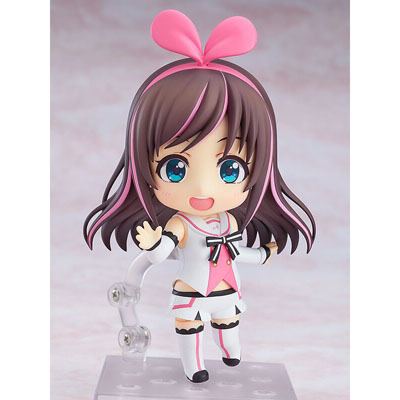 Kizuna AI, the world's first virtual YouTuber and a self-proclaimed super intelligent AI is joining the Nendoroids! She comes with four face plates including a smiling expression, a shouting expression, a proud expression with a bit of a mischievous look in her eyes as well as the installing expression that fans will remember from her videos! Optional parts include a pink laptop, a special sheet to display her as if in a video, a cardboard box as well as interchangeable lower body parts to display her sitting down allowing for all sorts of different situations in Nendoroid size! Be sure to add her to your collection and enjoy the virtual idol in the real world! Copyright © Hammergirl Anime Inc., Rochester, NY. All Rights Reserved.